Online stream anime episodes, Watch Naruto Shippuuden Episode 88 English Subbed online and free episodes. Anime Episode guide, Chapter Naruto Shippuuden Episode 88 English Subbed Wind Style: Rasen Shuriken! Naruto attacks Kakuzu with Rasen Shuriken, but his attack dissipates before he can land a hit. Meanwhile, with Hidan’s dismembered remains in the trap hole, Shikamaru uses another explosive tag to fill in the hole to finally bury Hidan. 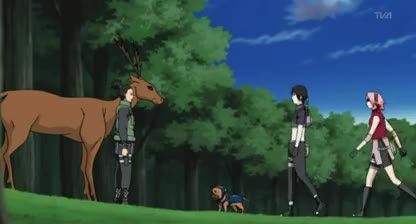 He is joined by Sakura and Sai, and they head back to the others. Naruto once again creates a Rasen Shuriken, and Kakuzu switches to a long-range mode to counter his attack. As Naruto, with his shadow clones, rush towards Kakuzu, the latter flies over and nails the original Naruto. But this is revealed to be a shadow clone, and the real Naruto manages to lands a critical hit with the second Rasen Shuriken, destroying both of Kakuzu’s replacement hearts.